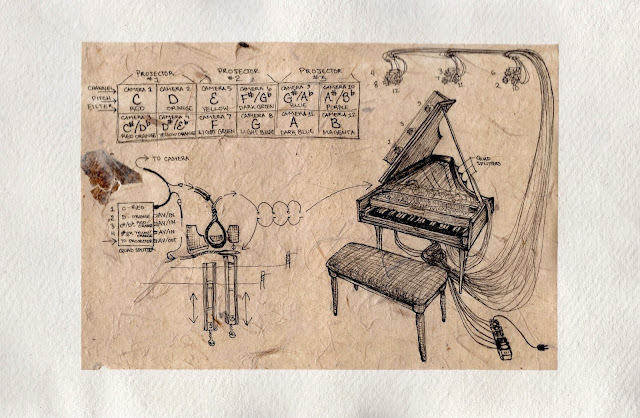 A VARIATION OF THE OCULAR HARPSICHORD - functions musically and works as a twelve-channel live video mixer. The instrument is wired to trigger a system of color-tinted security cameras displaying live video feeds processed through projectors. The harpsichord was donated by Katzen Arts Center Facilities Management Employees who were instructed to discard the instrument. 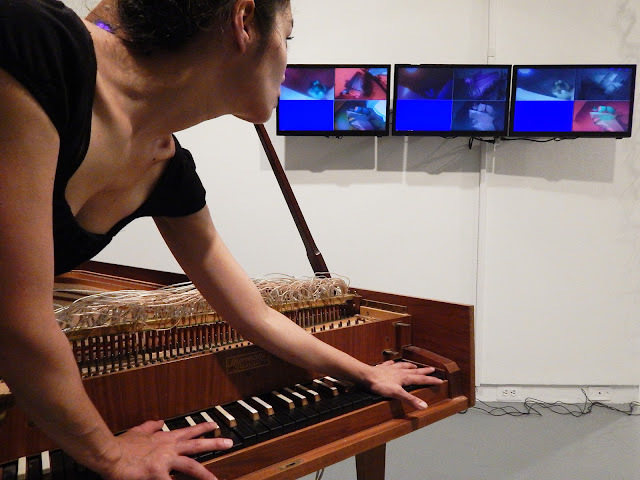 Funding to convert the harpsichord into a twelve-channel video mixer was provided by The Foundation for Contemporary Arts.